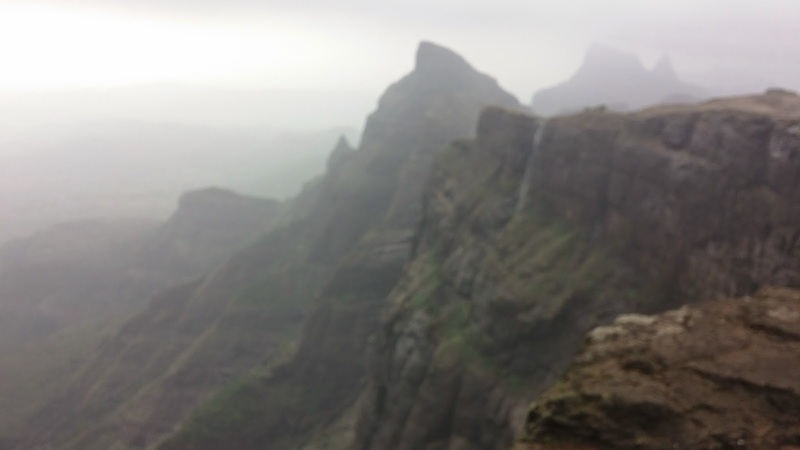 Harishchandragad is one of the best trekking spot in the Sahyadris of Maharashtra. It can be rated 8 in the scale of 1-10 with 10 being the highest. 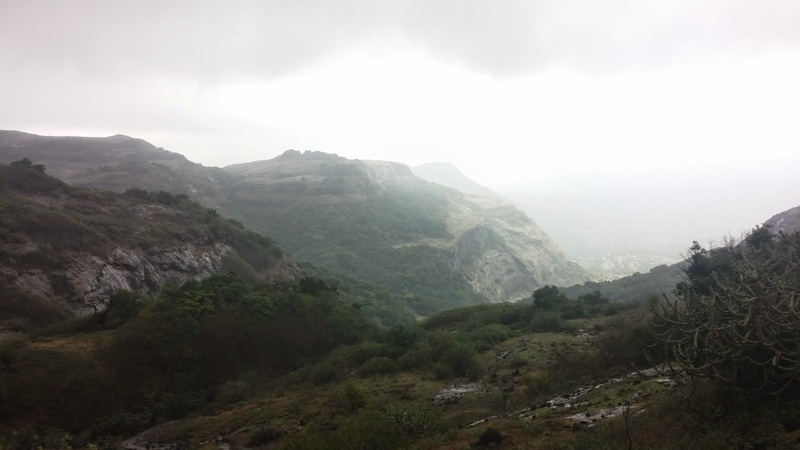 A trek to Harishchandragad is a must for trekking lovers. 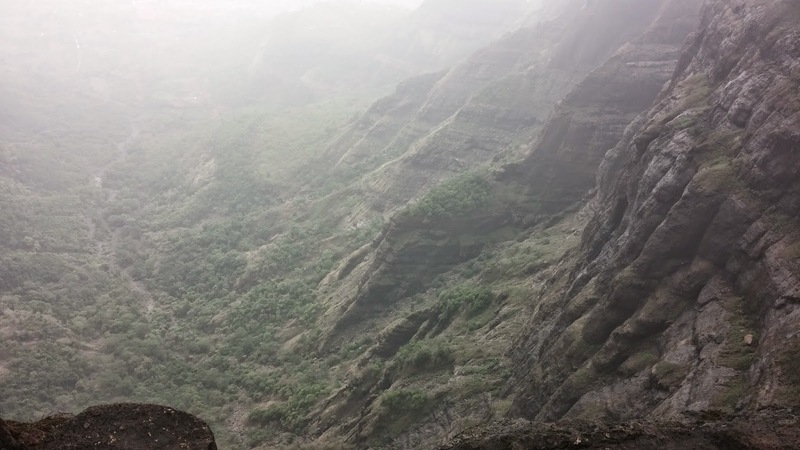 Harishchandragad is accessible from Thane, Pune and Ahmednagar. 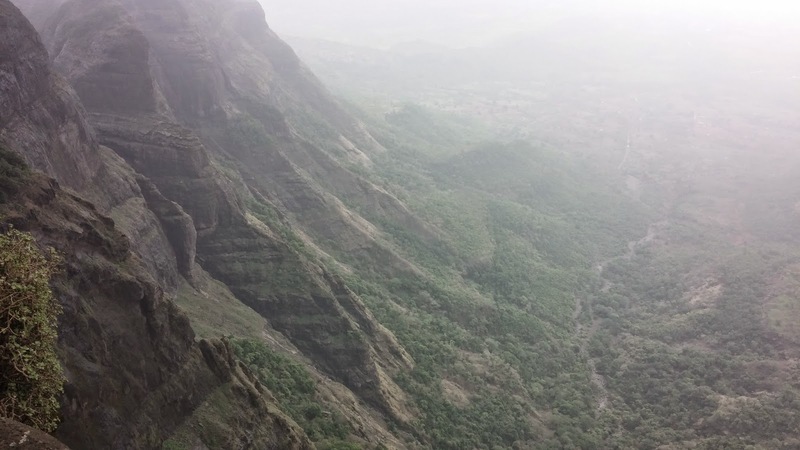 Harishchandragad Fort can be reached via various routes from different places. Below are the travel routes from different cities. 1. Catch a local going towards Kalyan (on Central Line). Get down at Kalyan Station. 3. Ask the ST conductor for a ticket of Khubi Phata. 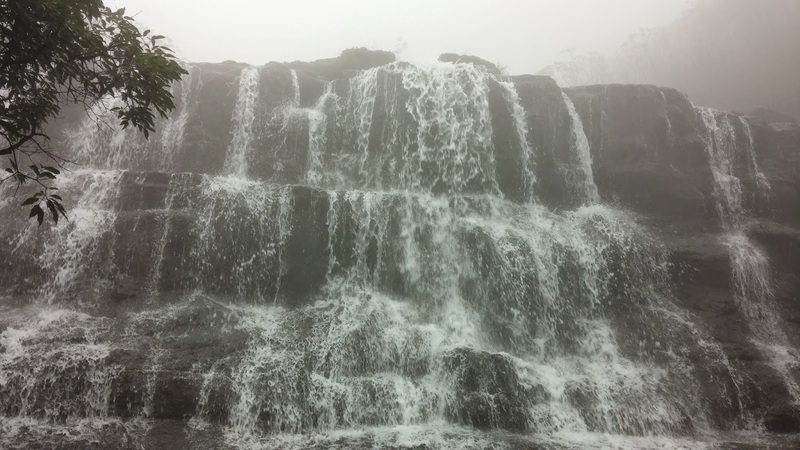 Khubi Phata is just 5 mins after the Malshej Ghat ends. 4. 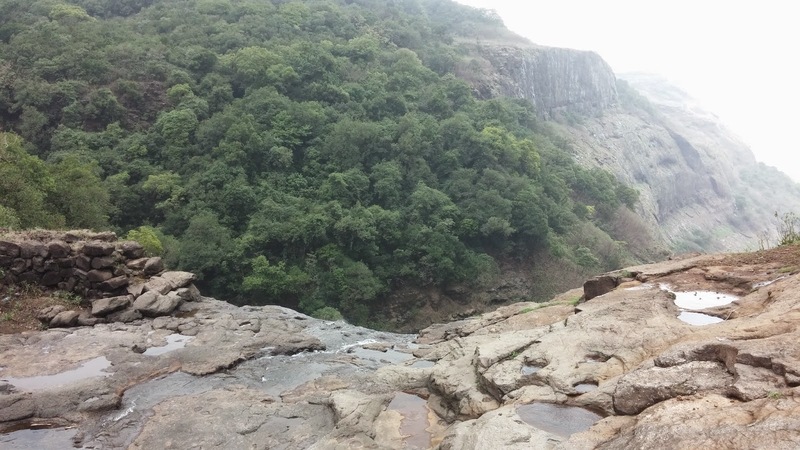 Get down at Khubi Phata and start walking on the 6 km long dam that just starts besides the road. 5. 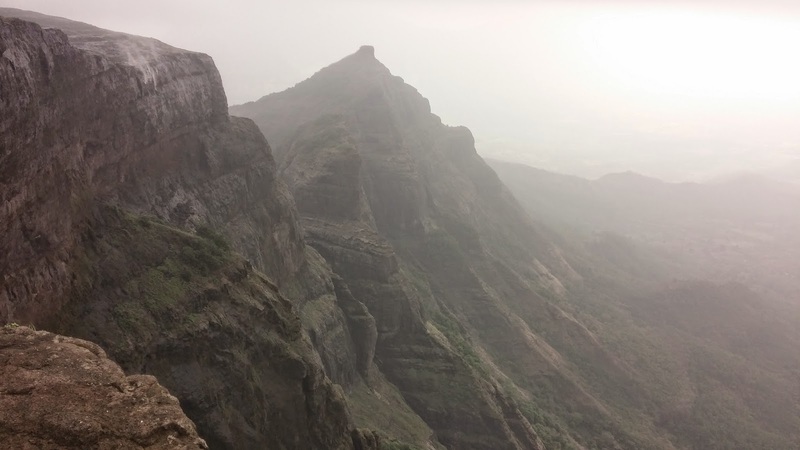 Lucky you, if you get a jeep or something, or just keep walking (a good warmup :p ) Once you reach the base village Khireshwar, the actual trek for Harishchandragad starts !!! Mind it, this is a very tough route and not at all recommended for freshers ! 1. Follow the previous (via Khireshwar) instructions till point number 2. 2. Ask the ST conductor for a ticket of Savarne. 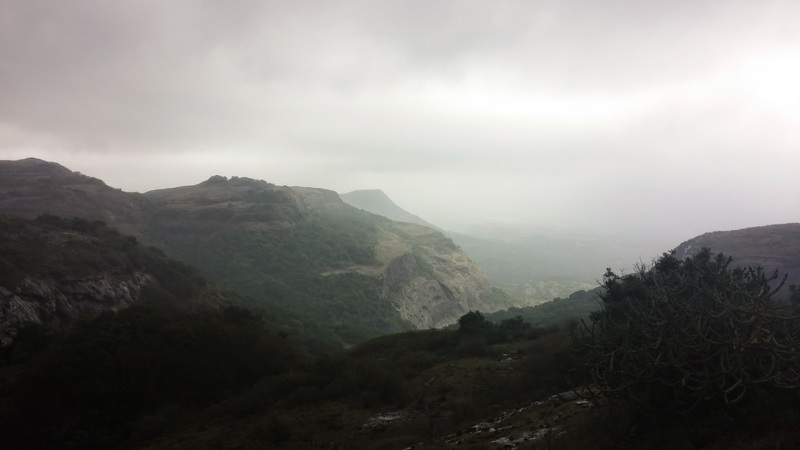 Savarne comes just before the start of Malshej Ghat. 4. 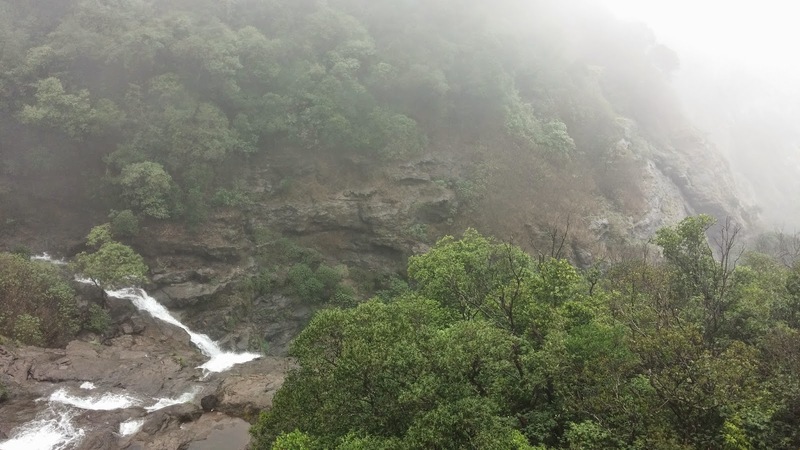 From Belpada, the trek to Harishchandragad via Nalichi vaat or Rajmarga or Sadhleghat begins !! 1) Catch an ST from Pune towards Alephata. 2) Get down at Alephata & catch another ST moving for Kalyan (strictly going via Malshej Ghat). 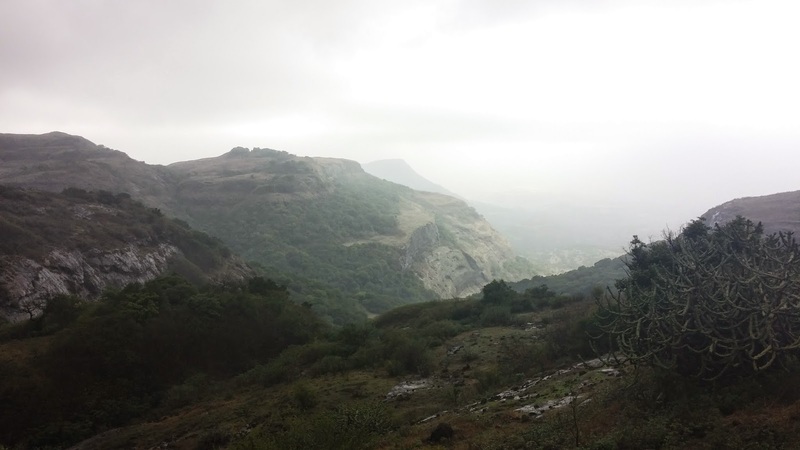 3) To trek Harishchandragad via Tolar Khind (Khireshwar), get down at Khubi Phata. 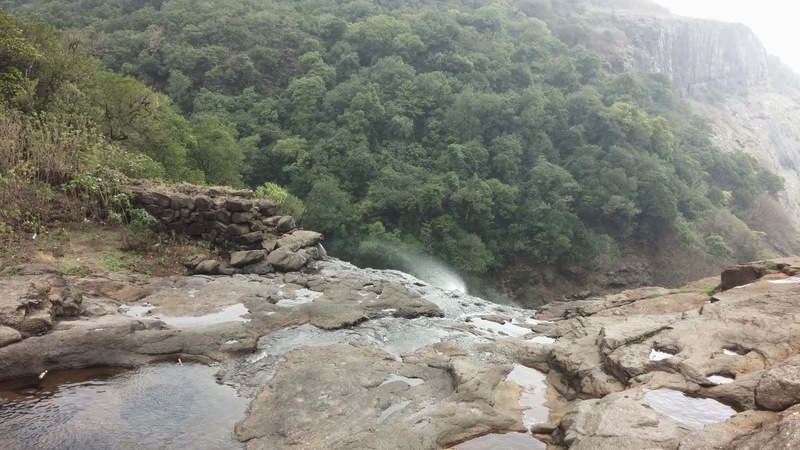 Khubi Phata comes just before the Malshej Ghat. One has to board the bus for Nasik or Mumbai & alight at Ghoti village. From Ghoti, we have to board another bus to Sangamner via Malegaon & alight at Rajur village. From here, 2 ways diverge to the fort. 1) From Rajur, one has to board the bus or a private vehicle to the village of Pachanai. From here, the way is straight to the topmost point. 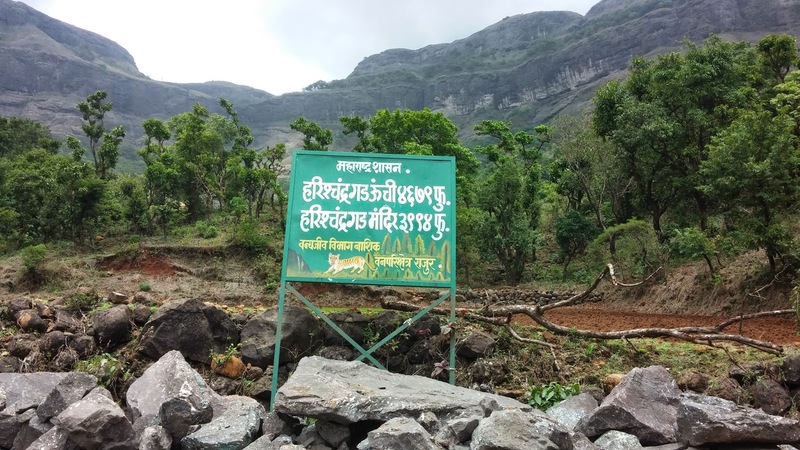 2) Recently, the way from Rajur to Tolar Khind has been made available. 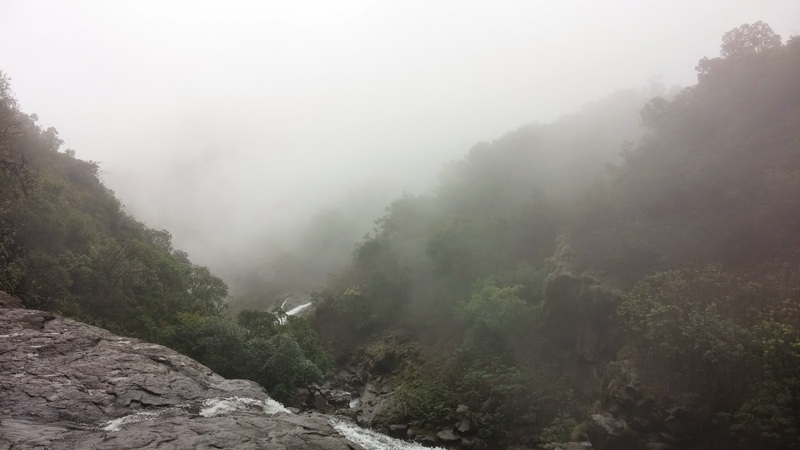 From Tolar Khind (Tolar valley), the temple is about 2-3 hours by walking. Reaching Pachnai from Mumbai is fairly difficult as one has to change several buses and loses a lot of time in transit. 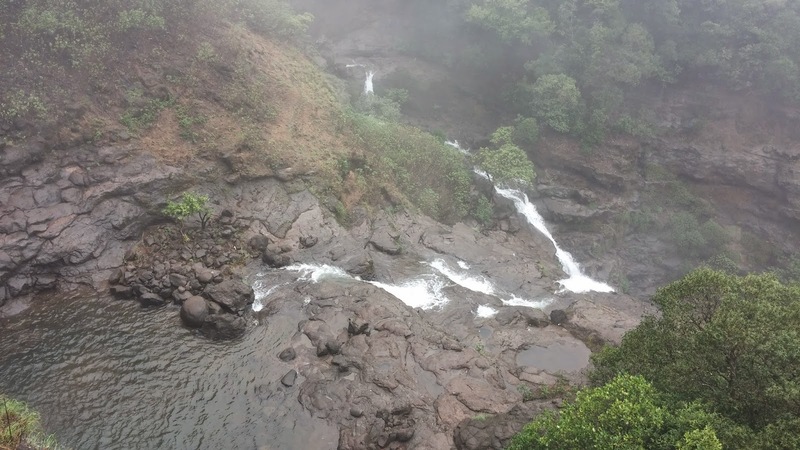 If one is approaching from Pune/ Nashik, one can reach Pachnai from either Rajur, Kotul, Akole or Sangamner. 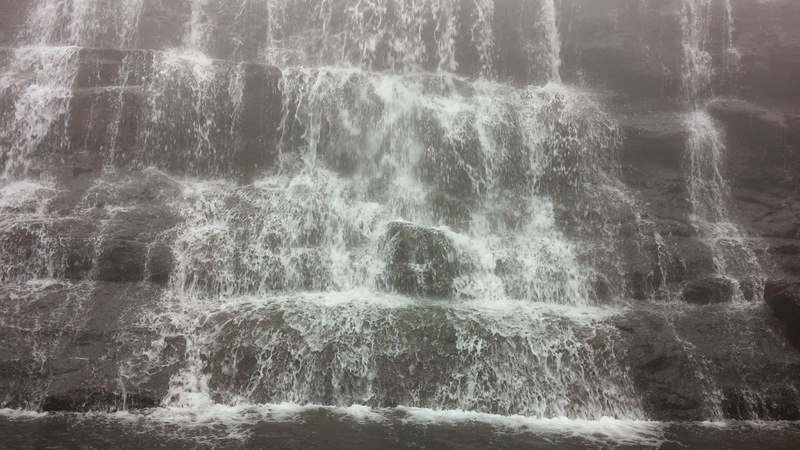 After getting down at Khubi phata, one has to take a 4-5 km walk on the wall of the dam called Khireshwar dam. 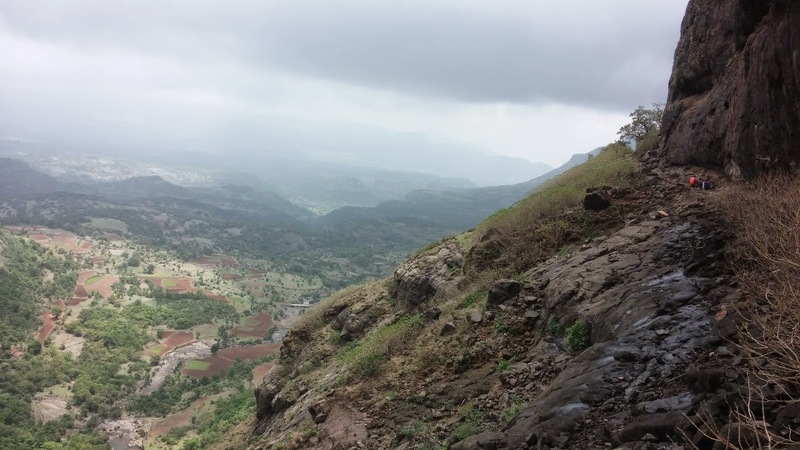 The dam ends at Khireshwar village, and from here onwards a straight route trail goes towards Tolar khind.Around 2-2.5 hours are required to reach till Tolar khind from Khireshwar village. The end of the khind has a stone carving of a lion, symbolising that it is protecting the pass. 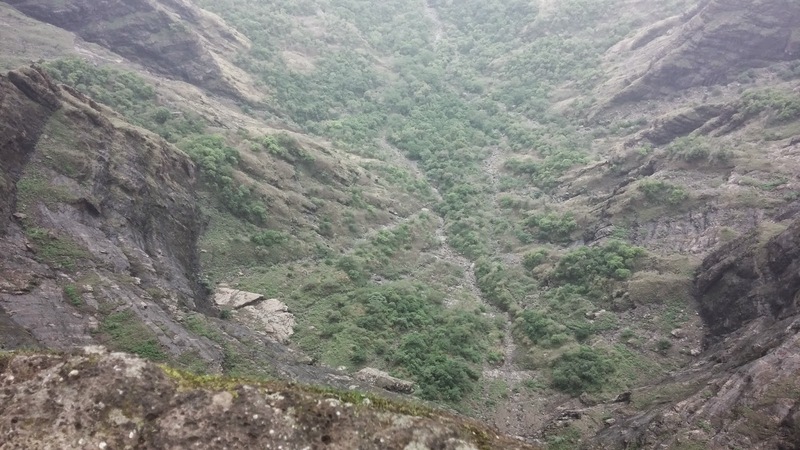 After the khind, is a 100 feet rock patch, which has iron railings for the safety of trekkers. 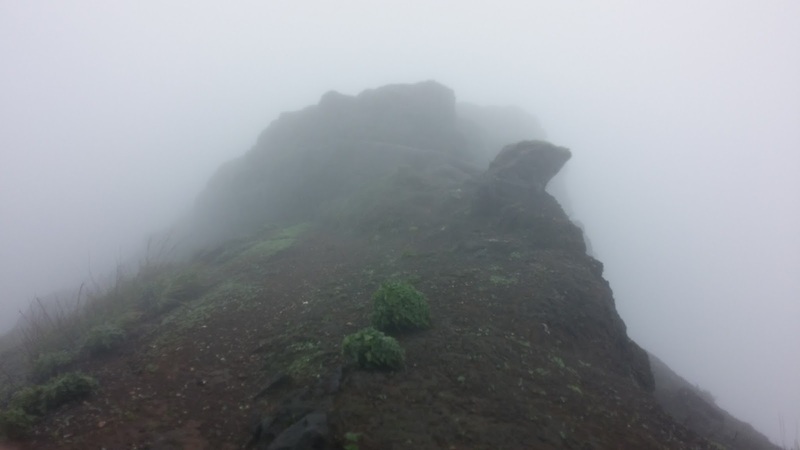 There is no need for any kind of special trekking gear at all like ropes, etc to climb it. 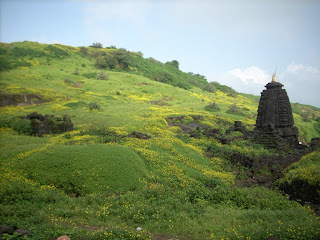 The climb on the rock patch then leads a straight way to Harishchandreshwar temple, with small hills & streams in between. 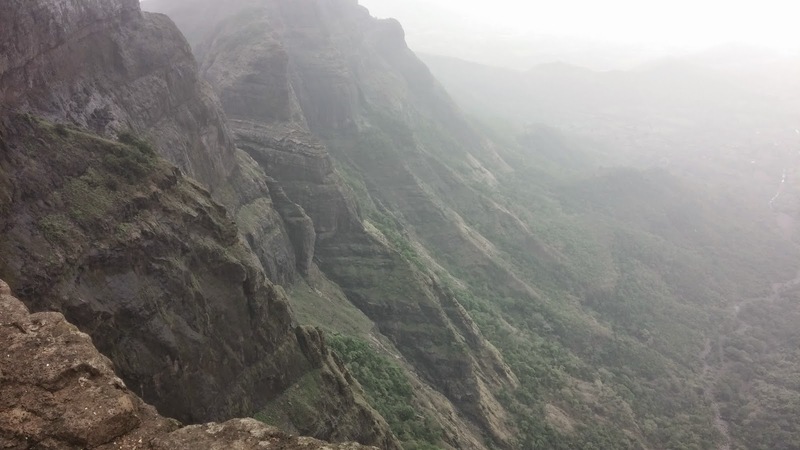 Nalichi vaat is the most difficult route to Harishchandragad. 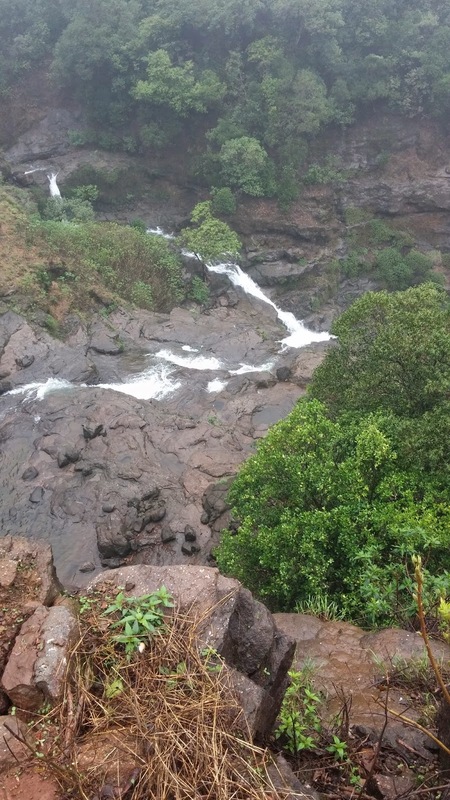 One has to start from the Belpada village and begin the climb parallel to the huge Konkan Kada. 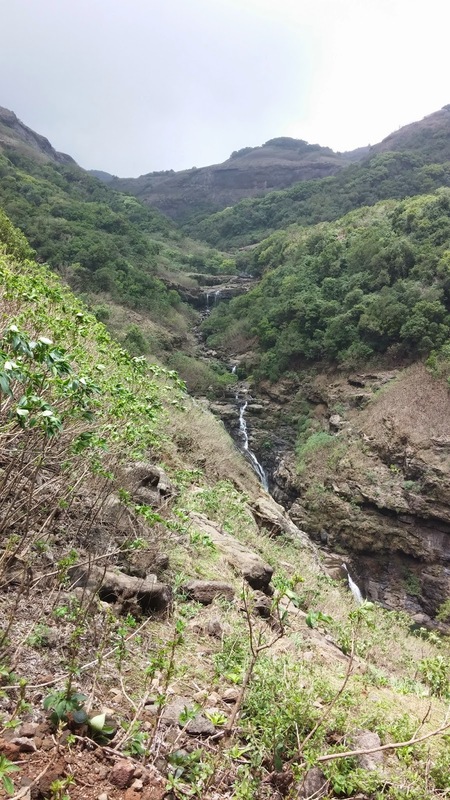 To the left of Konkan Kada are 3-4 channels that come down from the top. The channel to the extreme right is the Nalichi vaat. 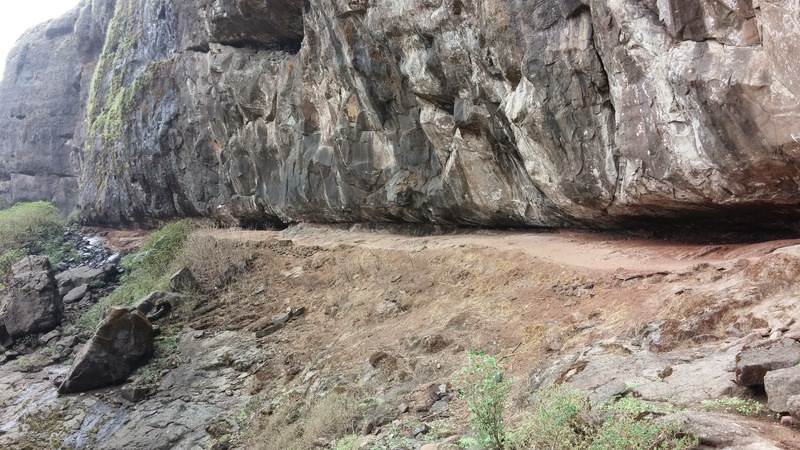 Nalichi vaat is a tricky route having a 80 degree ascents at some points and the toughest rock patches. 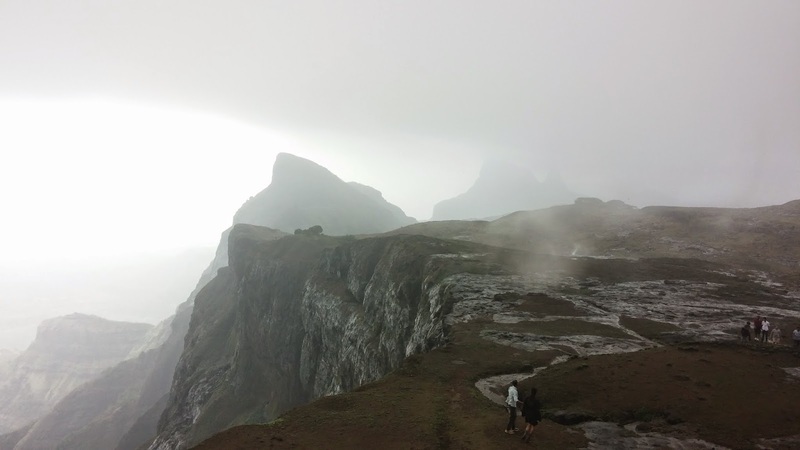 Here, trekking gear is required to ascend the rock patches as sometimes there is no slit available for having a grip. 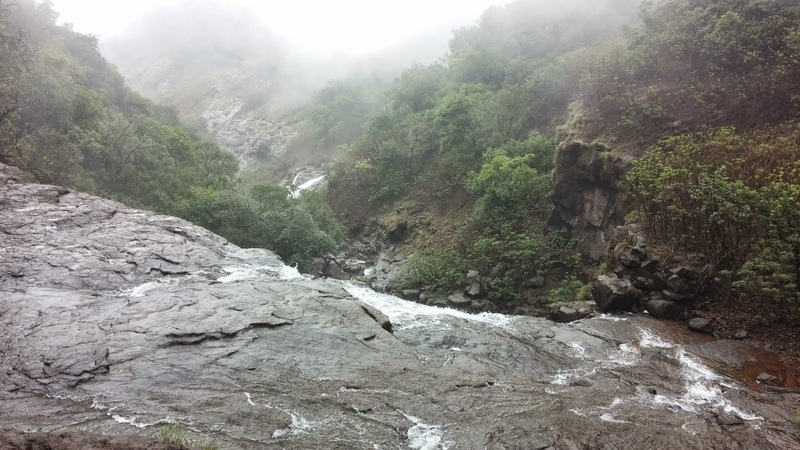 Hence, route is recommended strictly for the experienced trekkers. 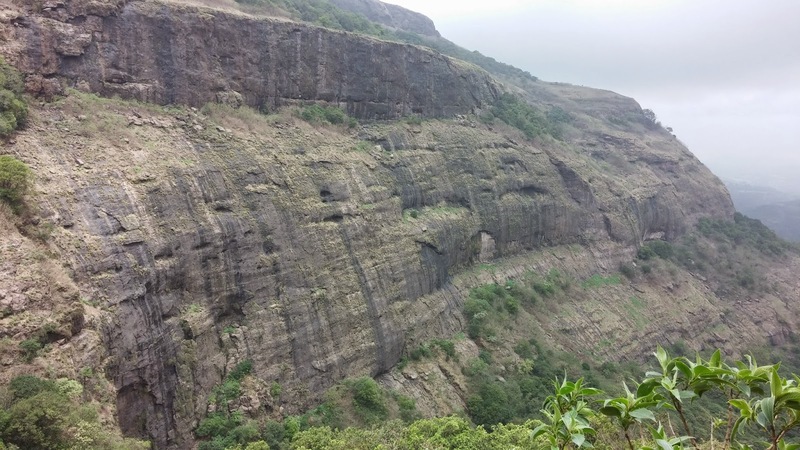 Rajmarga, which is currently in bad condition, was the main route to ascend Harishchandragad a long back. 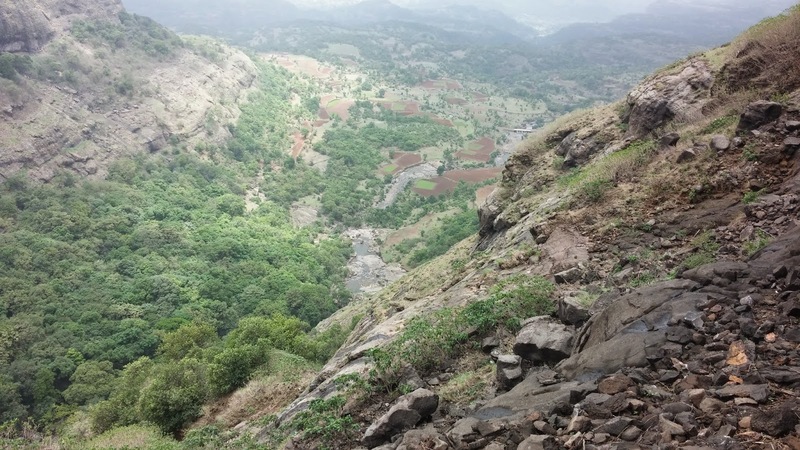 This route follows the same path till Khireshwar village. 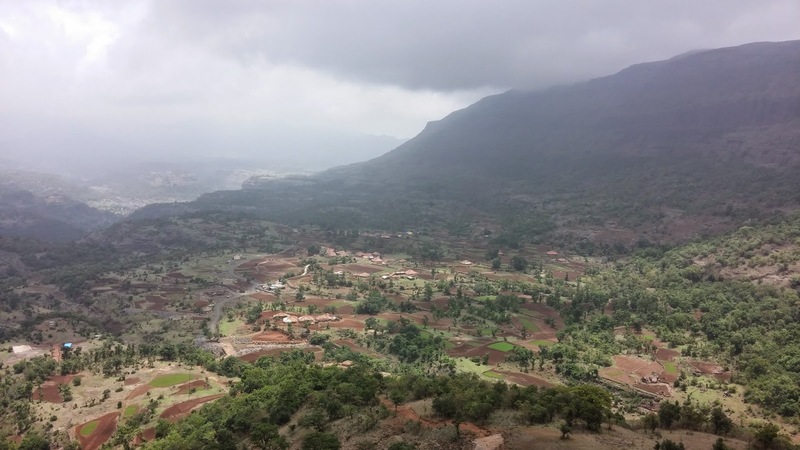 From here, instead of following the way to Tolar Khind,one must go along the straight path and start ascending on the slopes of Kalshya dongar (ask any villager for the route to Kalshya dongar). 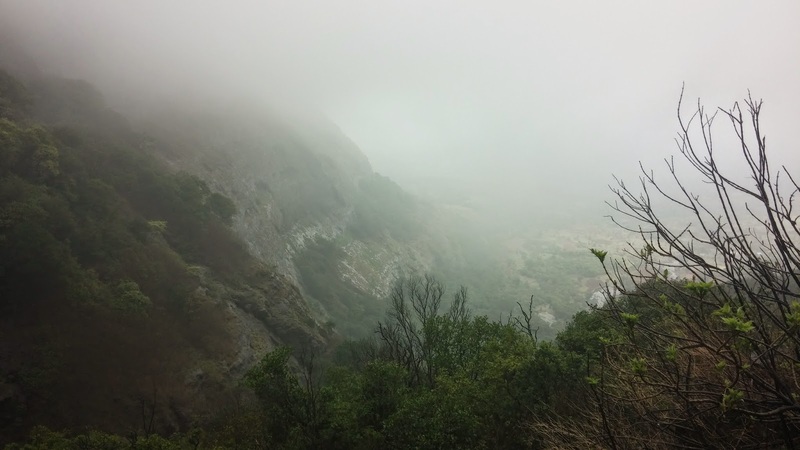 The cliff that comes after the Kalshya dongar has to be ascended. The climb has rock crumbling and lot of scree with dangerous patches in between. After this tricky ascent, one joins the Tolar khind route after the rock patch. 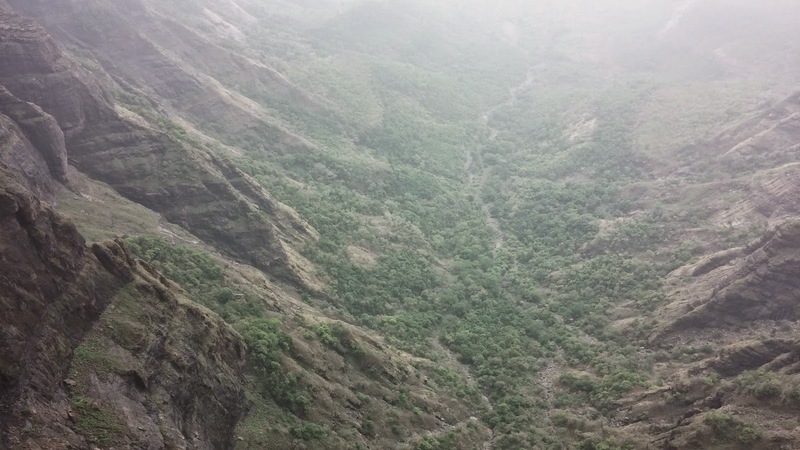 Sadhle ghat is a steep descent from the fort down to the base. 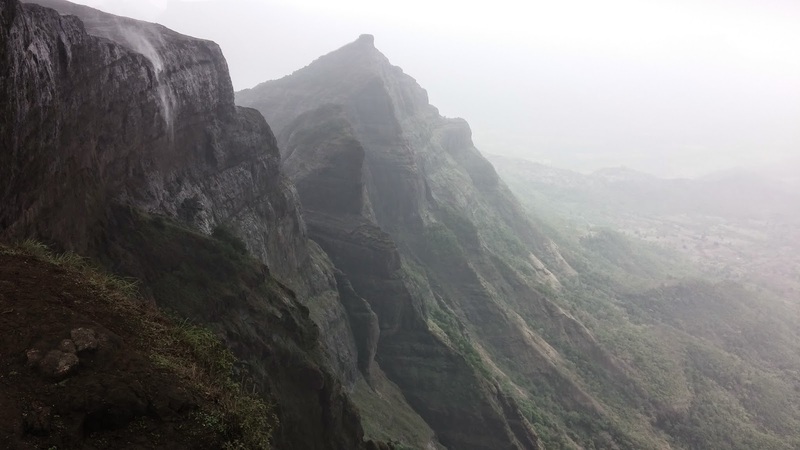 To approach Harishchandragad via this route, one has to walk straight to Kelewadi from Belpada instead of going towards Konkan Kada. 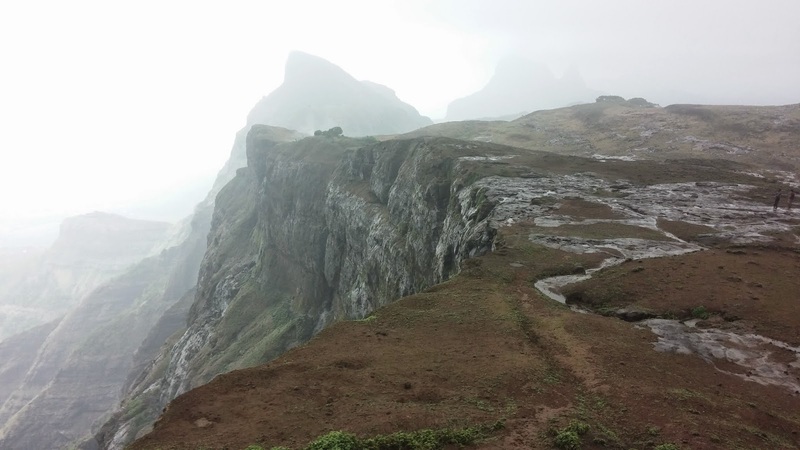 From Kelewadi village onwards, an ascend via the steep slope of Sadhle Ghat brings you on the top. 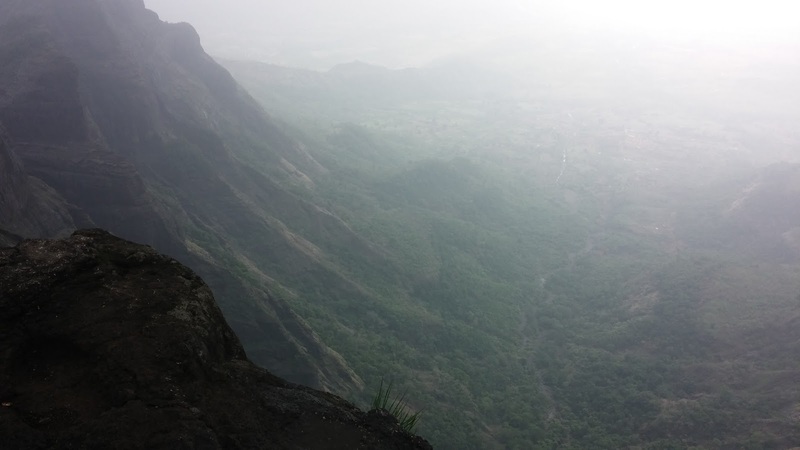 It is best to descend from Harishchandragad via Sadhle Ghat instead of ascending it. 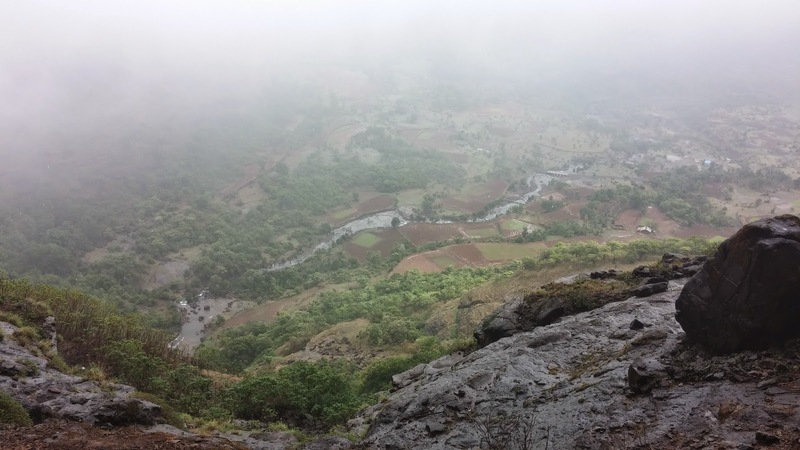 Pachnai is the simplest route to Harishchandragad and absolutely recommended for anyone of any age. 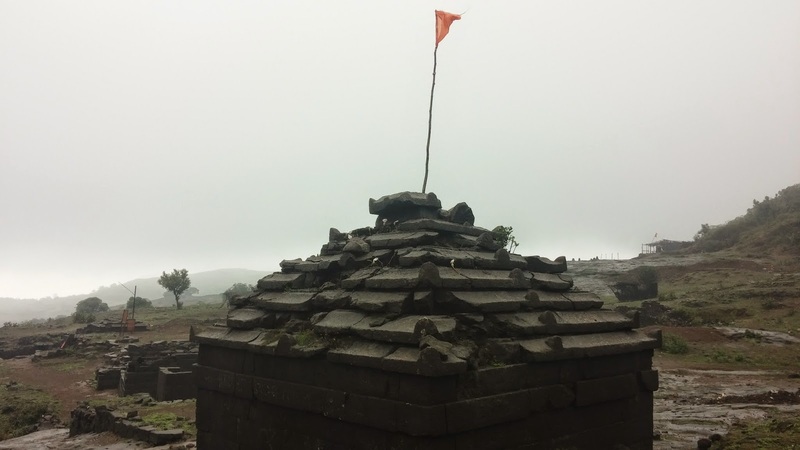 From the Pachnai village, it takes around 2.5-3 hours to reach Harishchandragad. A guide is available at the Pachnai village if required. 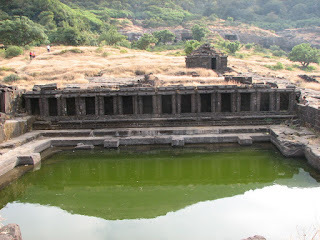 A pond named Saptatirtha Pushkarni is present on the eastern side of the temple. On its bank are 14 temple-like constructions in which there are idols of Lord Vishnu. 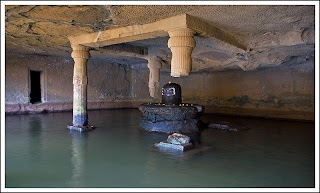 However, these idols are now shifted in the caves besides Harishchandreshwar temple. Some stupid and irresponsible trekkers are making this pond untidy by throwing plastic waste and other stuff. A few years back the water was potable, and now you can't even think of swimming in it. Moving parallely along the temple, just a few steps after it lies a huge cave known as the Kedareshwar cave. 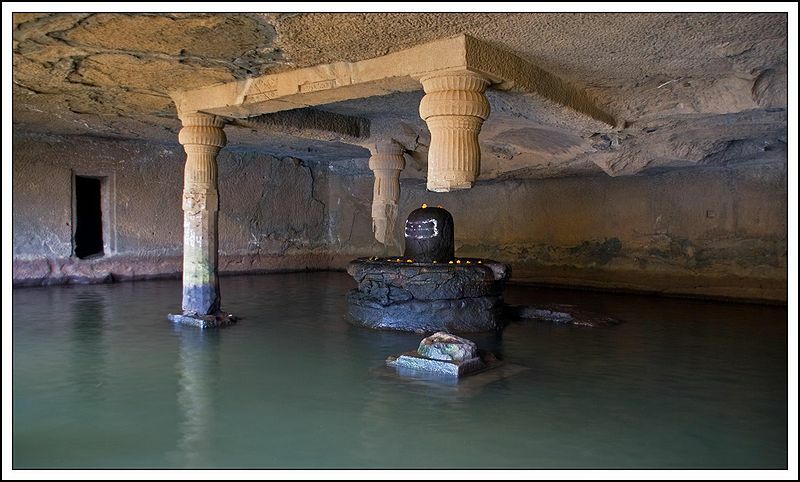 Inside the cave is a big Shivlinga, of about 5 feet tall, which is completely surrounded by water. 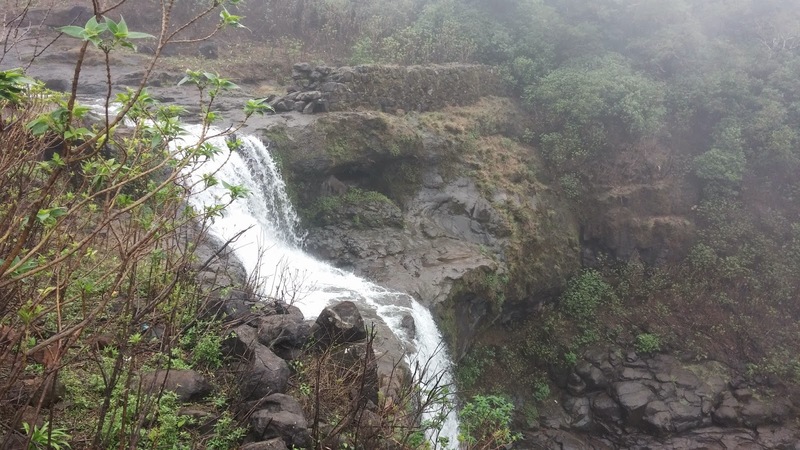 A huge stream of water flows outside the cave during monsoons, which hardly makes it possible to enter the cave. Moreover, the water in the cave is ice cold ! The temple is an excellent structure made out of sculpture carving and depicts the medieval period temples of ancient India. The temple is arount 16 meters high from its base. 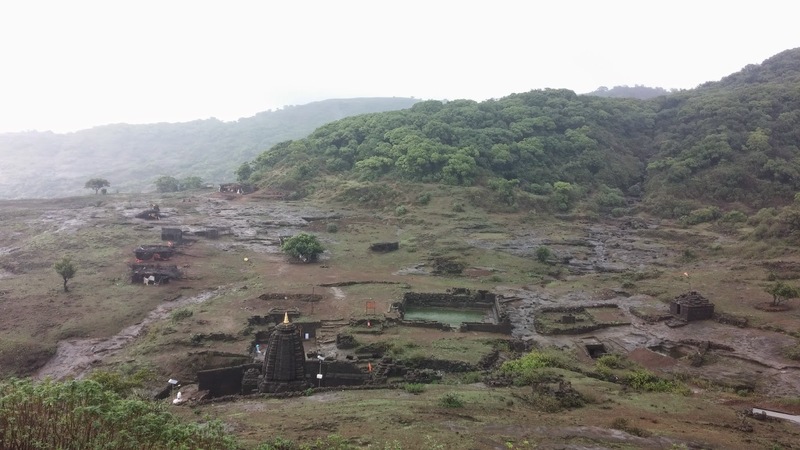 This temple has got a few caves and water tanks surrounding it. 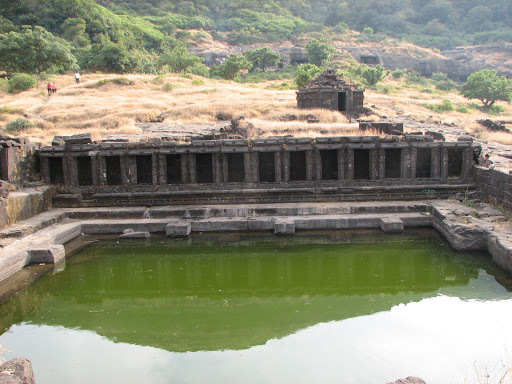 A river called Mangal Ganga is said to originate from one of these water tanks. 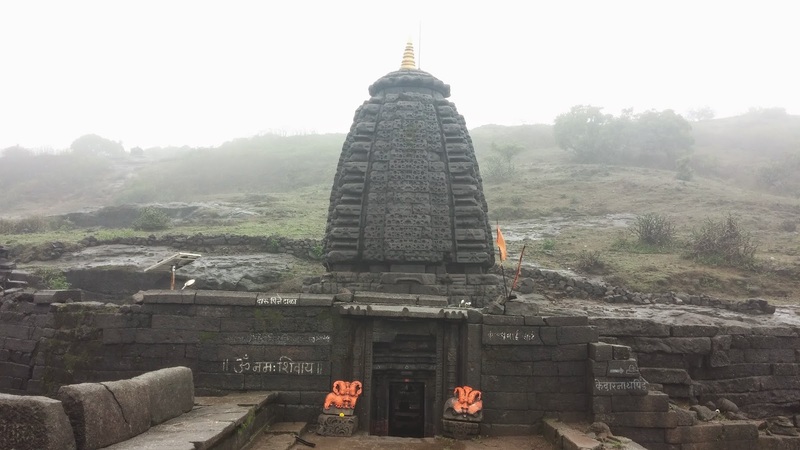 There are three main caves near the temple. 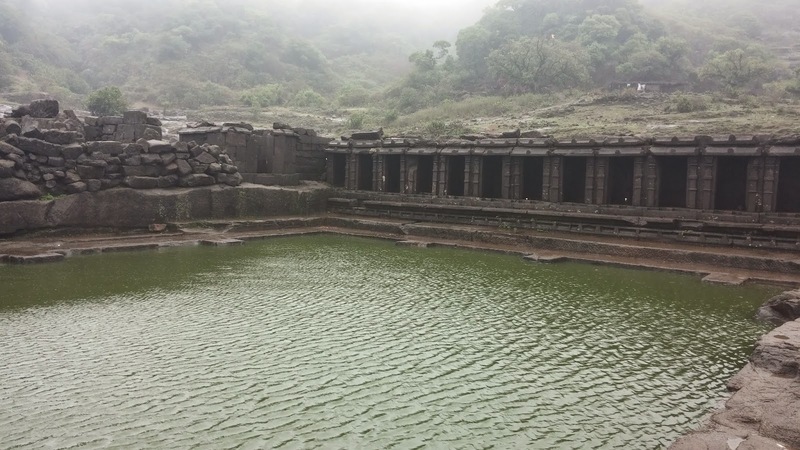 The cisterns near the temple provide drinking water. A short distance away, another temple called Kashitirtha is located. The fascinating thing about this temple is that it has been carved out from a single huge rock. There are entrances from all the four sides. These are faces of guards of the temple. On the left side of the entrance is a Devnagri inscription, which is about saint Changdev. Well, this is an interesting spot for which most of the trekkers come here. 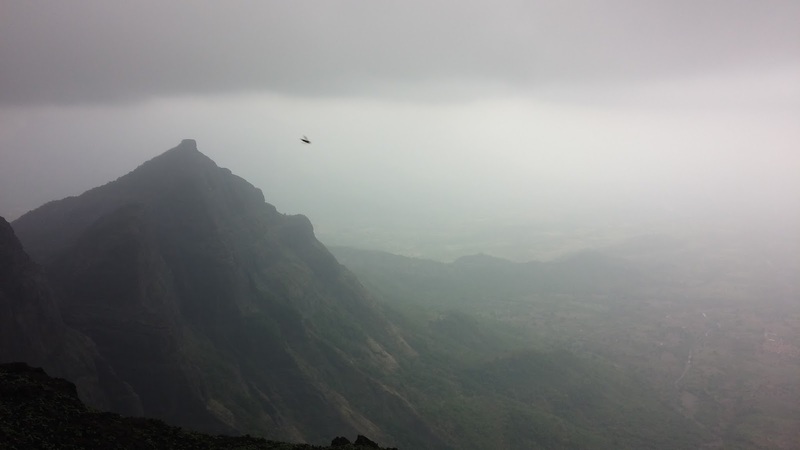 This cliff faces towards west and looks down on Konkan. 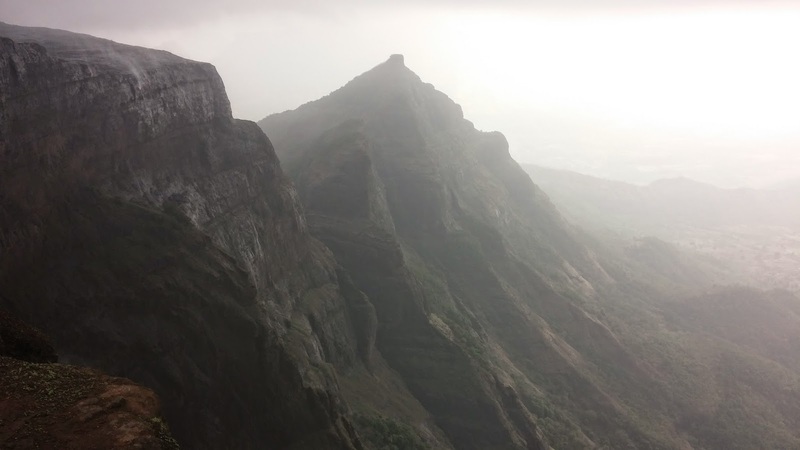 The Konkan Kada is approximately 4000 m in height. It is an overhang, like a cobra's hood. When there is little fog in the valley, and the sun is behind the person facing the valley, a circular rainbow can be seen. 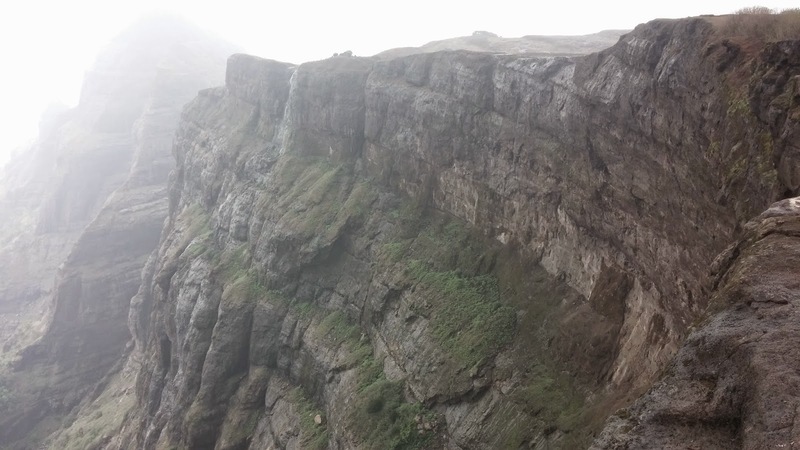 One phenomenon that can be observed at this place is the vertical cloud burst, in which the clouds nearing the cliff get sucked into the pit fall area below are thrown vertically into the sky reaching more than 50 feet (15 m). It creates a magical wall that is rising straight from the edge of the cliff without entering the landmass area. 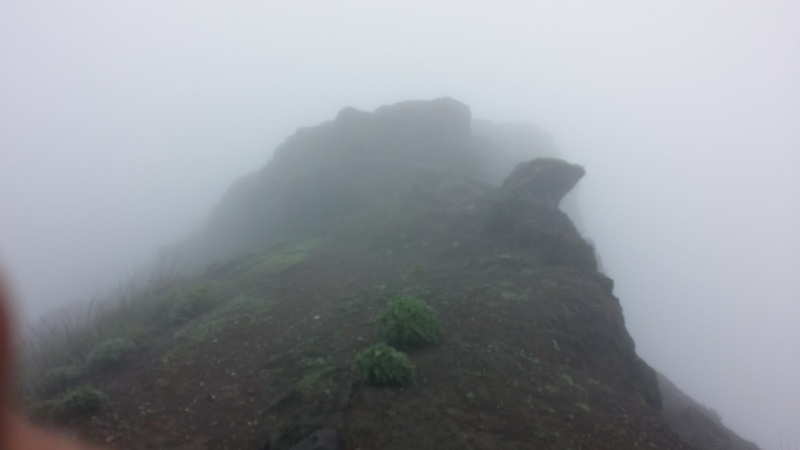 Being the second highest peak in Maharashtra,Ttis is the topest point on the fort (1429 m), and is also known as Taramanchi. 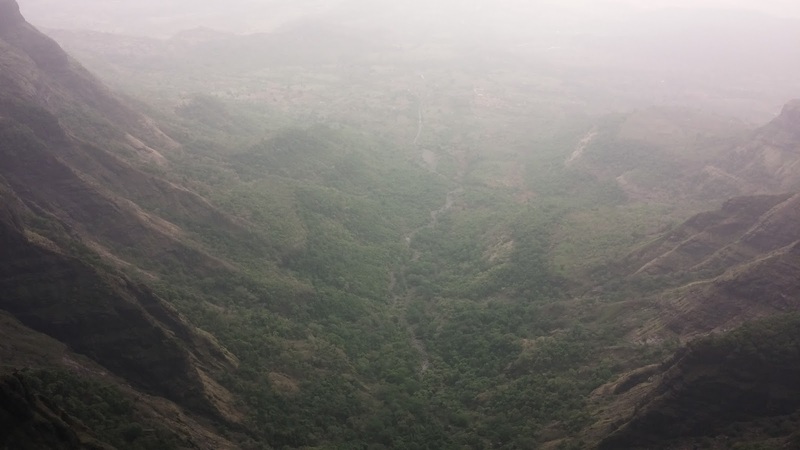 From this peak, many of the surrounding forts like Naneghat, Siddhagad, Ajoba, Kulang fort can be seen. Many people have seen leapords in the jungle beyond this peak. A few villagers at the top of the fort make the food arrangements. The meal includes bhakri, bhaaji, daal, bhat, etc. along with snacks such as kanda bhaji, pohe, tea, etc. They stay in a couple of caves near Harishchandreswar temple.